It would be hard to find anyone more passionate about cricket locally than Colyton grandfather Pat Yates. The 72-year-old hasn’t just been involved with the game behind the scenes for decades, but he still whacks on the pads and gloves and plays it. 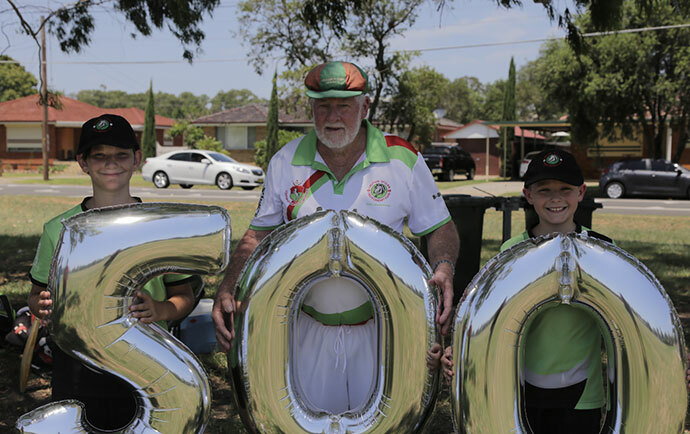 Now in his 36th straight season for the Colyton St Clair Colts Cricket Club, Yates notched up an incredible 500 games last Sunday during his side’s six wicket win over Springwood at Chapman Gardens in Kingswood. Yates’ wonderful milestone wasn’t just celebrated by his own club and teammates but even the opposition gave him a pat on the back. “The Springwood club congratulated me and Colyton St Clair presented me with a cricket bat with 500 games on it,” Yates told the Weekender. Pat Yates with two of the club’s juniors. Incredibly, he hasn’t missed a season of cricket since he started playing the game as a nine-year-old in 1956. Yates has cricket running through his veins and hopes to play Australia’s favourite pastime for many more years to come. “I keep playing because I love the game and the friendships I’ve made have been a big part of it,” Yates said. While Yates is certainly an inspiration on the field, his dedication to the sport off it is also something to marvel. 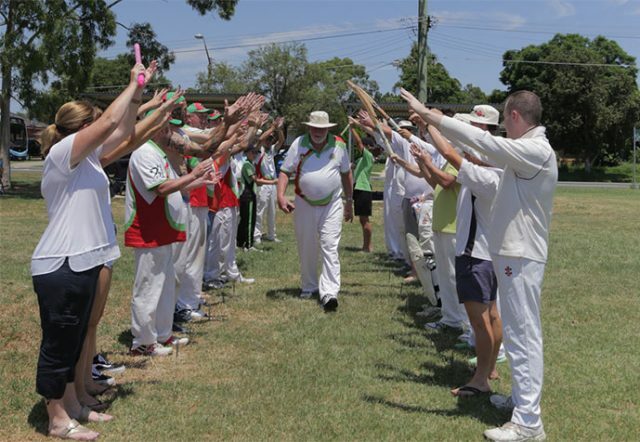 Yates is the current President of the Nepean District Cricket Association and has been a member of the committee for decades. “When I’m not captaining my ninth grade team, I’m out and about watching as much junior cricket as possible. I have a huge interest in everything that goes on,” Yates said. Yates has plenty of memories that certainly stand out, but there’s one highlight in particular that he’ll never forget. “Two seasons ago my teenage grandson and I won a competition together. 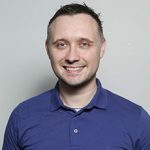 It was a special moment that I’ll always remember,” he said.